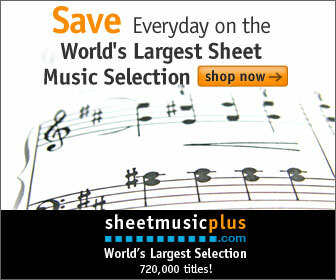 Learn Music Guide > News > Gadgets and Instruments > Can A Musical Instrument Ever Be An Investment? Can A Musical Instrument Ever Be An Investment? In this article we are talking about investing in instruments in the literal sense. Is this really an option? For most of us, the amount spent on an instrument is usually restrained by a tight budget. We want to buy the best of breed instrument without breaking the bank. However did you know that some people buy a musical instrument with investment in mind? And these instruments can be fetching in excess of £600,000. The trend for investing in instruments is due to need for investment in hard and tangible goods. Violins have been one of the most lucrative instruments. They are considered a stable investment and since the financial crisis, prices have accelerated. Prices for antique German and Italian violins never seem to go down, they are continually on the up and up. Violins attracting interest are from the period between 1650 to 1750 and there are plenty violins to be found from this era, which can be problematic. Those looking to invest in a violin should only look to reputable dealers. Fraud is not exempt from this trade and some violins could be replicas or over restored instruments. At the lower end of the market, acoustic guitars also attract investment buyers, although it is generally considered a more risky business. Well-made and great sounding guitars hold therir value and can be traded for as much as £15,000 or for as little as £300. Investing in musical instruments for a musician is particularly difficult as it plays on both our emotional and financial judgement. Investing in instruments is not for the naive, you need to be savvy and knowledgeable. The key to successful investing is careful purchasing and choosing an instrument which you like and want to play. Although at six figure numbers, you may prefer the instrument stayed looked in a vault. If you are considering learning to play the violin online, you need not invest so heavily. Discover the best places to learn violin online. How difficult can it be to choose a Harmonica?